So it’s been…four months since I last had anything of any note to talk about. OK, that’s not necessarily true as I’ve had plenty of ideas for my blog but now that I’m using an iPad to access the interweb for most of the time blogging time has dwindled. That’s not to say I didn’t do research into social media (I’ve become far more interested in social media thanks to work recently) and make lists of what I wanted to blog about, I just couldn’t find the initiative to spend time putting my thoughts to paper, or screen. For the last four months I’ve been fairly busy, house hunting has taken a lot of my time and energy up. Matt and I pondered moving out of Cardiff in order to buy a new build house, we looked at a new estate outside Cwmbran but the sales guy, price of the house and the size of the house put me off (not Matt so much). Then we were on the verge of putting a deposit down on a lovely townhouse in Newport, it was such a wonderful house! The house we were looking at buying was actually the show house for the estate but after talking to the neighbour who was very guarded in what he would say about the estate, taking into account the sheer size of the social housing part of the estate (yes, yes not a PC thing to say but when you’re about to drop nearly £200k on a house everything has to be right) and then some of Matt’s work colleagues told him that we’d be crazy to move to that area so we pulled out. In the end we found a house we like in Cardiff for £40,000 less than the house we were looking at near Cwmbran, the only issue we’re having is that the current owners can’t move out until the end of August! We put an offer in a month and a half ago and so far it’s moving very slowly thanks to our bank who aren’t the brightest sparks when it comes to communication so it would seem. Hopefully the house will be worth the wait. 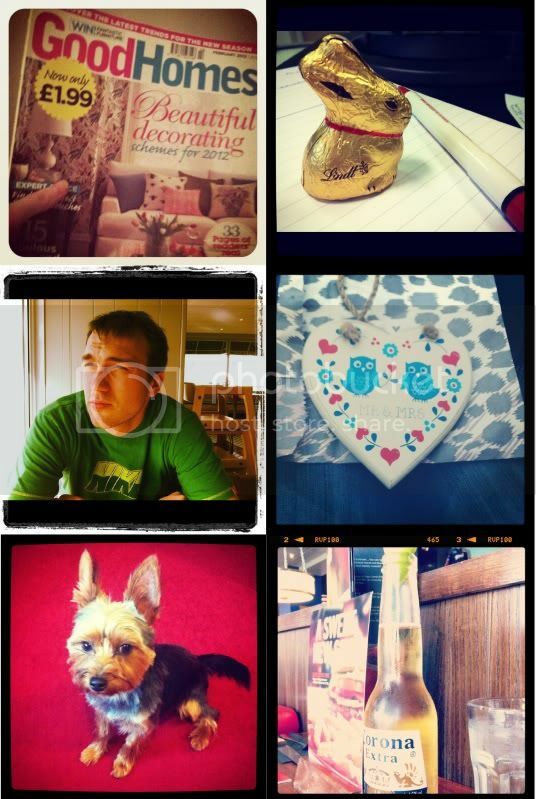 Here are some Instagram photos from the last few months. I have a lot more photos that I need to put up but that'll come soon, as will a follow up post to my last blog entry. Where in Cardiff are buying? Hopefully we will be in a position to start house hunting next year, I can't wait! Hiya, we were buying in St Mellons but we've pulled out of that (see latest entry). We're buying in Caerphilly now, I can't believe the size of the house we're getting compared to what we would get in Cardiff!